Anlin Industries has been manufacturing premium quality vinyl windows and doors since 1990. In 2001 they completely redesigned their windows and doors, setting a new standard for energy efficiency, aesthetic appeal and functionality. Anlin continues to design new products and make improvements to existing products. As a California-based company, their windows and doors are specially designed to meet the needs of homes in moderate to hot climates. Anlin spent ten years of research and development in the Hawaiian climate, ultimately developing the Ali'I Extreme line; windows and doors designed specifically for the tropical climate. We believe you will find Monte Verde windows and patio doors to be loaded with unexpected quality details at a tremendous value. Shown here are some of the high performance features that are standard on EVERY Monte Verde product. Even more surprising is that there are many more such features standard on various Monte Verde products. Ply Gem Windows - one-stop access to a variety of window materials and styles for all of your design needs. National manufacturing and distribution network, industry leading warranties, and exceptional customer service and support. When it comes to windows for homes and light commercial applications (schools, hospitals, etc. ), everyone appreciates choice. That's why Milgard offers so much variety in residential windows - from vinyl to fiberglass to aluminum home windows. You can choose from materials and styles designed to complement nearly every architecture and style. All Milgard windows are custom made to order to exact specifications at no extra charge or extended lead time. For the utmost in comfort and energy efficiency, Milgard customizes windows and components to the climate of your region. From the glass coating to the frame design, Milgard engineers the perfect windows for where you live. Unlike other manufacturers who solely use aluminum or vinyl when making their folding door system, we at Win-Dor have combined both materials to offer our customers something special. The best of both worlds. Aluminum is a great material for folding door systems. It is strong and rigid. It allows for larger sized installations vs. the traditional vinyl folding door system. At the same time, there are several drawbacks to a standard aluminum door system. First, just like aluminum windows, it eventually corrodes and breaks down. Secondly, aluminum is great at transferring energy. Because of this, an aluminum folding system will not be as energy efficient. 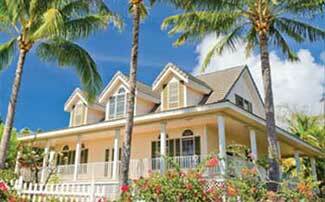 Bring in the beauty with Windows Hawaii… Oahu's ultimate replacement window and door company. Learn more about how we can help with windows for your next home improvement project.